How good is Xiaomi Mi Mix 2? If you are looking for high-quality tech products that are also affordable and accessible to everyone, then your search is over with Xiaomi– the world’s fourth most valuable technology start-up and now one of the highest praising companies that keeps its prices low while offering high-end quality goods. One such product is the user-centric Mi MIX 2, an Android smartphone with some great specs, which is also very reasonably priced. Here we are going to take a quick look at Xiaomi’s pursuit for the ultimate perfection. 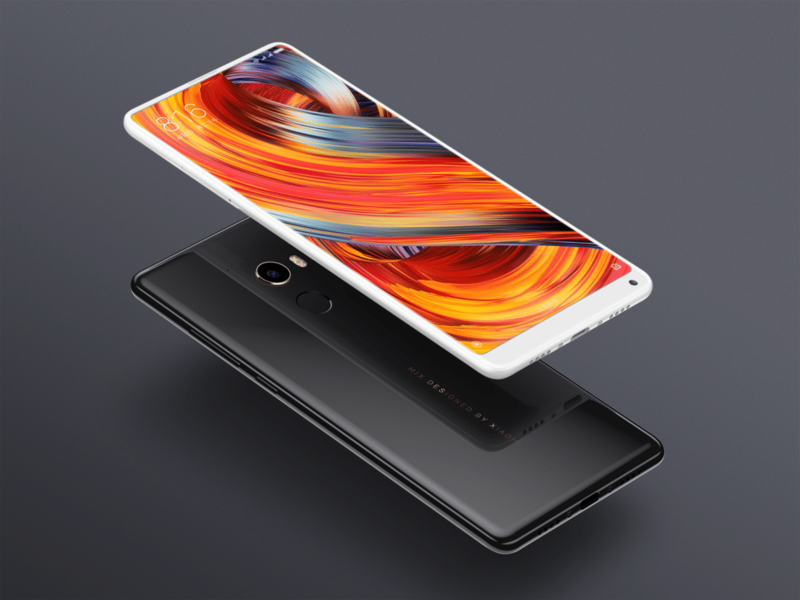 Xiaomi’s goal has always been to offer the best possible user experience with unique and affordable products, which is something they very well achieved with Mi MIX 2. Innovative and refined, this is a smartphone that completely exceeded our expectations with its improvements in software and hardware design. It certainly shows the passion behind Xiaomi’s team and their willingness to create a product with the unparalleled user experience. Aesthetically, Mi MIX 2 has one of the best, head-turning and most impressive designs in the world. So, it is no wonder why this phone has its place in the Design Museum in Helsinki and Pompidou Centre. Unlike Xiaomi’s sub-brand (and another best buy product), the Pocophone F1 that has a polycarbonate body, this smartphone has a four-sided curved ceramic backplate and 18-karat gold-plated decorative camera rim, making it absolutely gorgeous. It is extremely thin and light, offering an amazing feeling in your hands. Still, don’t be afraid of dropping it on the floor by accident, aerospace-grade aluminum alloy makes it extremely resilient. 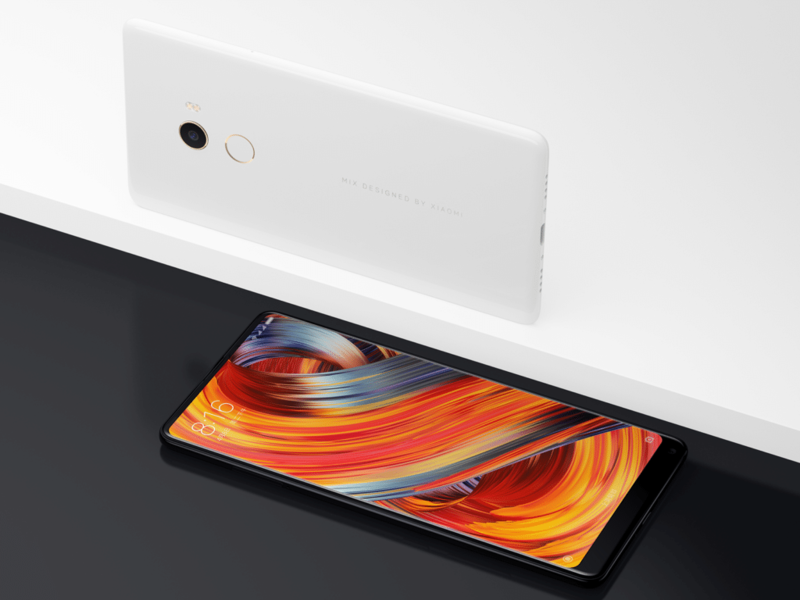 To this date, Mi MIX 2 remains one of the best phones Xiaomi has produced, with its convenient 5.99-inch 1080p IPS LCD display and an exceptional design. This amazing smartphone is compatible with most carriers anywhere in the world – so, no matter where you are, be sure this phone has global LTE connectivity, and you’ll have no problem using AT&T or T-Mobile, for example. Its hardware is also outstanding. Powered by the Qualcomm Snapdragon 835 processor, with either 6 or 8 GB LPDDR4X RAM, the Mi MIX 2 is fast, offering any multitasker a run for their money. It certainly gets the job done, however, if you need an unbelievably fast phone, then maybe you should turn to the ‘Master of Speed’, the Pocophone F1, which is powered by Snapdragon 845. There are three internal storage options (64, 128 or 256 GB), as well as dual SIM connectivity that accepts Nano-SIM. Xiaomi updates Software on this phone constantly, so no worries there. Another great characteristic is that it includes radios for usage around the world! 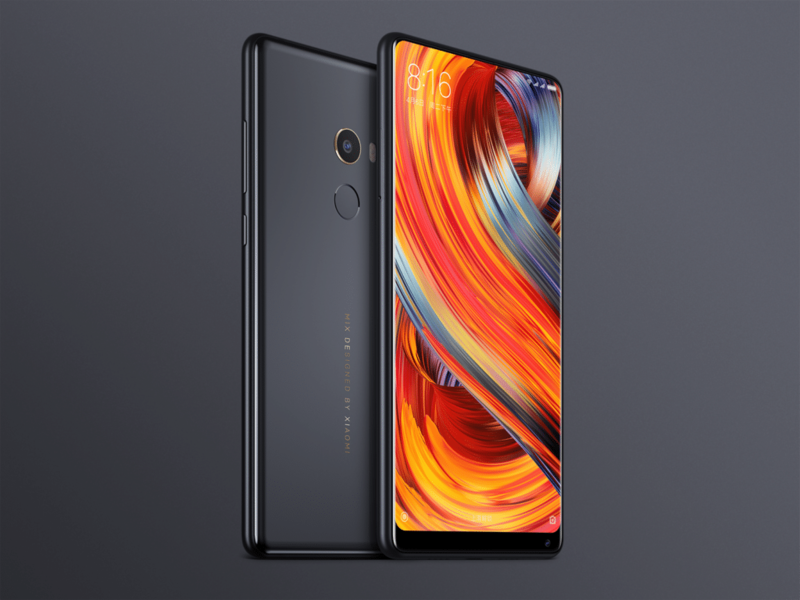 The Xiaomi Mi MIX 2 runs on a 3400mAh non-removable battery, with a USB-C reversible connector that supports Quick Charge 3.0. And, believe it or not, this phone’s battery life is a day and a half on average. But it can easily be up and running for two days straight. This is an incredible feature, at this price range. This exceptional smartphone features a 4-axis OIS camera system (Optical Image Stabilization. Which means wonderful photos in all situations and there are two cameras. A 12-megapixel primary camera on the rear and a 5-megapixel on the front. The latter is very interesting and unconventionally placed. The camera sensor is in the bottom bar, which may be a bit inconvenient to some unaccustomed users. Here are some things you should also know about this phone: Philippe Starck, a world-renowned designer has designed this phone; it has a gold award from a premier international design competition, IDEA. 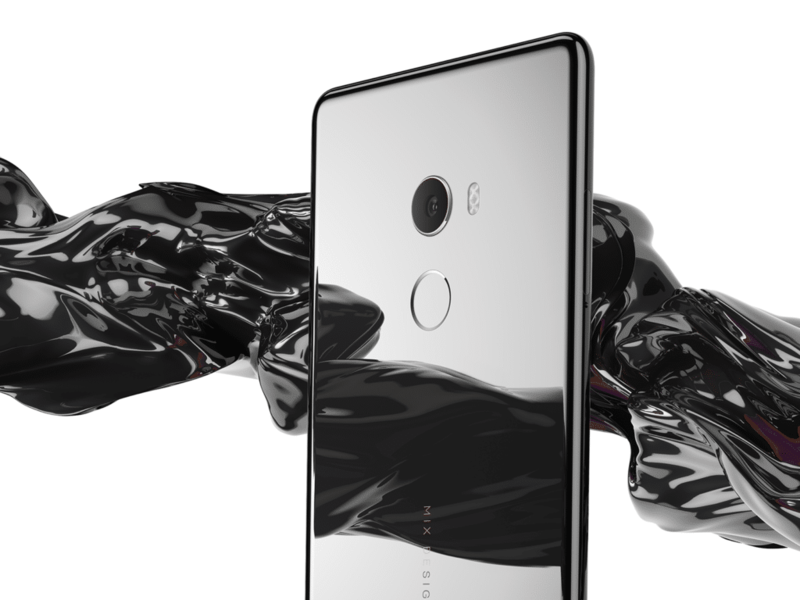 IDEA recognizes and promotes brilliance in multiple industries and disciplines; Design Museum in Helsinki added Mi MIX 2 to its collection; both Mi MIX 2 and its predecessor Mi Mix are a part of the permanent collection in one of the most popular art museums in the world – Centre Georges Pompidou in Paris, France; and last year this superb phone won iF Design Award at the world-renowned design competition. With a magnificent experience when it comes to viewing, as this phone really rocks the all-display design so well, the Mi MIX 2 is a global-ready phone in the Android world – Google Play Services are pre-installed, so you are good to go! If you are looking for high-quality tech product that is also affordable and accessible to everyone then we believe your search is over with Xiaomi Mi MIX 2. Attractive, pleasing, reliable and with brilliant internal specs, this is one of the hottest smartphones available on the market. And no, it will not cost you a small fortune just to own it.